Hello Beautiful! The Miss Universe competition may be over, but Dove continues to celebrate the real beauty of women from all around the world. Beauty, after all, is universal. First, let me congratulate our very own Ms. Philippines Maxine Medina, for making it to the Top 6 finalists. She was truly an inspiration for women to become more confident and beautiful amidst flaws and criticisms. We can never be perfect, but as Ms. Universe Pia Wurtzbach puts it, we can always be confidently beautiful with a heart. Just in time for the glamorous celebration of beauty, I personally received a package containing Dove skin and body care products as a reminder to be my own kind of beautiful. It also came with some personalized gifts like water bottle, ballpen, notepad and an exquisite Dove gold necklace. 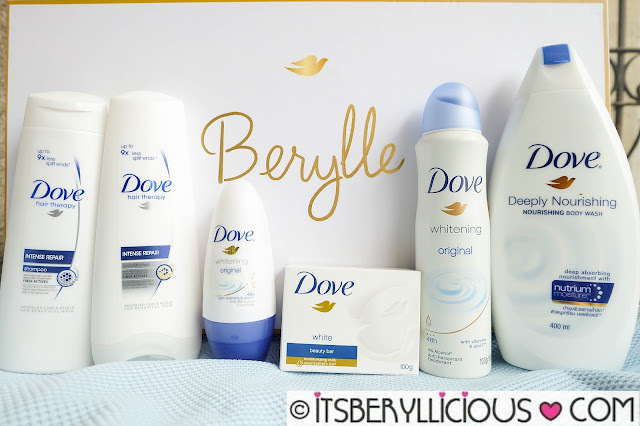 Dove truly knows how to make women feel special and unique. 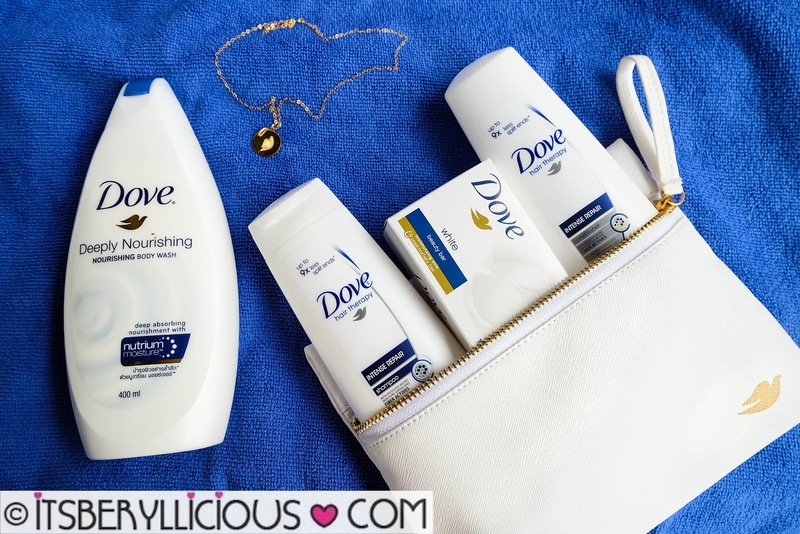 Dove antiperspirant deodorants are created with ¼ moisturizing cream, to care for our underarms, leaving it soft and smooth. 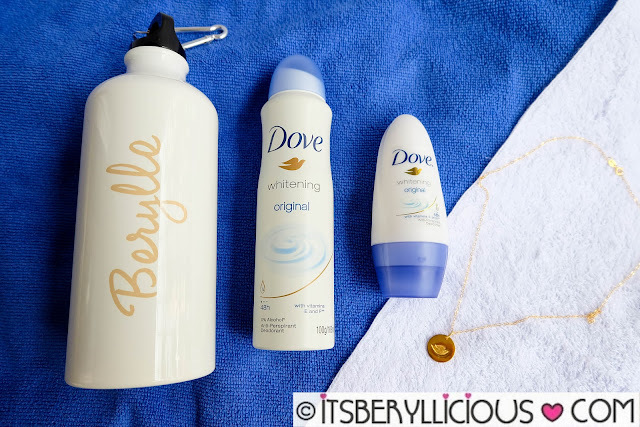 The Dove Whitening Original Antiperspirant Aerosol and Roll-on give your underarms a 48-hour protection, while lightening them. For hair care, Dove Intense Repair Shampoo and Conditioner restore hair's strength against breakage while progressively nourishing damaged hair. Dove's iconic ¼ moisturizing cream is also found in their beauty bars and body washes. The blend of moisturizers and lipids helps replenish the skin’s natural nutrients, leaving it feeling soft and smooth even after just one shower. Thank you Dove for gift, and for reminding us that we are beautiful and unique in our own skin, and that we are all Ms. Universe in our own ways. Here's to a Confidently Beautiful 2017! !